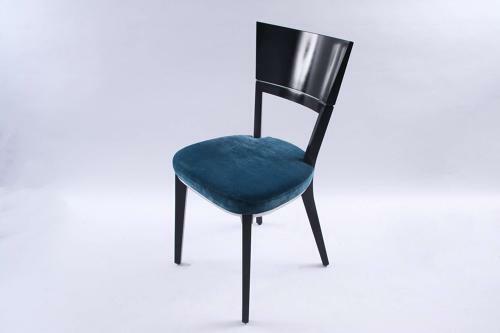 Set of eight `Mania` dining chairs by Modonutti. Ebonised hardwood frame and back with a cast aluminium seat frame and detail running across the back. With newly upholstered seat pads in a luxurious teal velvet.